Check your hazards risks with FEMA’s Map Portal. Follow guidelines to guard your community’s health and protect the environment during and after the storm. Review the Centers for Disease Control’s (CDC) health considerations before, during, and after a storm. 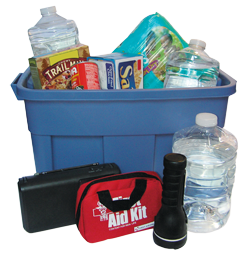 Remember to follow the U.S. Food & Drug Administration’s (FDA) food and water safety guidelines during disasters.